BUTUAN CITY, Sept. 9 (PIA) – Highlighted on the 20th Anniversary Celebration of the Technical Education and Skills Development Authority (TESDA) Caraga was the giving of recognition to the agency’s partners and stakeholders who have been regularly supporting its programs in the region during the Awarding Ceremony held in one of the convention centers here on Monday. TESDA-Caraga regl director Florencio Sunico, Jr. said that the agency's achievements and success would not have been possible without the support of partner stakeholders in empowering fellow Filipinos in honing their skills. "With their technical competence we take pride in preparing our way to ASEAN recognition as we thrive for relevance and meaning in all our efforts,” he said. TESDA-Caraga conferred plaque of recognition to the following 2014 Regionall Idol/ Kabalikat Awardees: Ronnie Abao-Regl TESDA Idol (Wage-employed Category); Hinatuan Mining Corp. - Regl Kabalikat Award (Industry Category); AMA-CLC, Agusan del Sur (Institution Category); Provl Govt of Agusan del Norte (LGU Category); and Surigao del Sur 1st Congressional District (Legislative Category). Sunico personally handed-over the token of recognition for the 2014 Reg IDOL/Kabalikat Awardees. As one of the provincial awardees from Surigao del Sur province, Surigao del Sur First Congressional District Representative Philip Pichay expressed his gratitude. "Education and training is our priority because it has developed our people in Surigao del Sur. We will always be here for TESDA as partner in continuously providing technical education and skills development to the marginalized sector," he said. Pichay was also the guest of honor during the event. Local Chief Executives from different provinces are also in attendance together with other partner stakeholders in the government, private sectors and local media. TESDA-Caraga also paid tribute to their loyal employees. Meanwhile, the Philippine Information Agency (PIA) Caraga headed by regional director Abner Caga duly received an award for its invaluable support extended as partner in the information and communication efforts in disseminating TESDA's thrust, mandates, and programs; bringing the government closer to the people. BUTUAN CITY, Sept. 9 (PIA) – Being previously recognized by the Technical Education and Skills Development Authority (TESDA) Caraga as the 2012 National Kabalikat Awardee for local government unit category, Surigao del Sur governor Johnny Pimentel expressed incessant efforts and support to sustain its technical-vocational (tec-voc) education programs. In his testimonial message during the 20th Anniversary Celebration and Awarding Ceremony of TESDA-Caraga held here on Monday, Pimentel said that one of the priority programs for the province is to help the marginalized sector including the out-of-school youth. "Jobs through technical vocational program contributed a lot in addressing the needs of our out-of-school youths. They may have missed out on schooling but have seen a better future on tech-voc education. We also provided trainings to our marginalized sector which include the women," he cited. Pimentel disclosed that the provincial government of Surigao del Sur has provided a building for TESDA provincial office, provided them free water and electricity among other logistics because they have seen the need for a better office building in the area. He underscored as well that as the local government’s way of helping the indigents/marginalized sector they conceptualized Jobs though Tech-Voc Programs (JTP) producing around 9,636 graduates to date and they now have their own job and are earning. "I can say that we are successful with our objective and I'd like to assure TESDA-Caraga that the LGU-Surigao del Sur will continue to help uplift the lives of our constituents by facilitating livelihood trainings and technical-vocational education," remarked Pimentel. Meanwhile, TESDA-Caraga regional director Florencio Sunico, Jr. said that what lies ahead of the reforms in TESDA requires a lot of responsibility from its personnel together with its partners in the government and private stakeholders. TANDAG CITY, Surigao del Sur, Sept. 9 (PIA) – The Surigao del Sur II Electric Cooperative (SURSECO II) assures the public of sufficient supply for the next 20 years, an official said recently. This was reveled by SURSECO II General Manager Engr. Iglorio R. Hinayon during the press conference conducted in time with the celebration of their 35th Founding Anniversary held recently at the board Room of the SURSECO II Main Office in Tandag City. 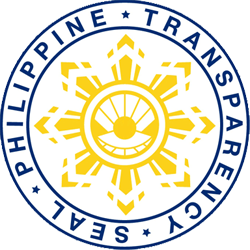 He cited the following companies: the Therma South Incorporation which will operate accordingly on the last quarter next year; the GN Power which will commence its operation on 2017; the 640 KW Sagbayan Hydro Power Plant which will operate probably next year; and the 7.8 MW Surigao del Sur Power Plant which will commercialized this year. “The average contract period of these power plants will last for at least 15 years,” Hinayon said. Accordingly, the present peak demand of SURSECO II covering the 1st district of this province composed of 13 municipalities and Tandag City reaches around 13 MW with a five percent (5%) increase of demand per year. Manager Hinayon further explained that it is the responsibility of SURSECO II to secure its power supply by entering into power supply agreements with the private companies. The power rate will be higher as he emphasized because these power plants are expensive compared to the hydro-run electricity. The consumers should also weight the impact of the higher power rate versus less frequency of brownouts which will give considerable effect to the economy and the consumers themselves, he added. TANDAG CITY, Sept. 9 (PIA) – Provincial Director Ruth Beniga of the Civil Service Commission (CSC) in Surigao del Sur has reiterated her call on interested examinees for the Career Service Examination-Paper and Pencil Test (CSE-PPT) for Professional and Sub-Professional Levels set on October 26, 2014. She reminded that there are a couple of days more left to beat the deadline on September 11 for the application filing, adding that they are aiming to get 1,400 applicants. BUTUAN CITY, Sept. 9 (PIA) - Some 25 personnel of the Department of Agrarian Reform (DAR) of Agusan del Norte provincial office underwent a five-day training workshop on Trainers’ Training on September 2-6, 2014 held at Benjamin Garden Resort here. Provincial Agrarian Reform Program Officer Andre B. Atega, CESO V, said that the training aimed to equip the participants with the most up-to-date knowledge and skills in conducting community development and capacity building ideas. “This training will enable participants to become the most effective speaker on the subject assigned for a target class of participants,” PARPO II Atega added. Romy Dahuyag, one of the resource speakers, told that the said training is part of continuous learning process of DAR personnel to strengthen their capacities to become an effective cooperative trainer. The training drew interesting output that includes Skills in Developing Training Needs Assessment; Preparing Training Modules; Demonstrate Training to Adults and Coaching and Mentoring. BUTUAN CITY, Sept. 9 (PIA) - Malampusong gilusad ang "Hisgutanay Sa Proyektong PAMANA Para Sa Kalamboan" sa Barangay Puting Bato, Cabadbaran City, mahitungod na sa proyektong Construction of Cabadbaran City-Puting Bato-Lanuza Road kon diin usa kini ka Multi-million project. 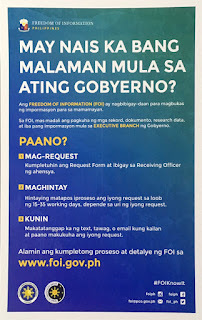 Ang maong proyekto ubos kini sa Office of the Presidential Adviser in Peace Proces-Payapa at Masaganang Pamayanan (OPAPP-PAMANA), kon diin usa kini ka hiniusang programa sa nasudnong panggamhanan kansang tumong mao ang pagpaabot sa mga batakang serbisyo, paghatag ug kahigayonan alang sa ekonomikanhong kalambuan alang sa mga lumolopyo sa mga lugar kon diin adunay nahitabong kagubot nga maoy nag-unang hinungdan nga nagpabilin pa gihapon ang kalisod sa maong lugar. Ang maong hisgutay gipangunahan kini ni Agusan del Norte Gov. Ma. Angelica Rosedell M. Amante-Matba, uban sila si PNP Provincial Director Ariel Francisco D. Marbel, 29th IB Battalion Commander Lt. Col. Adonis G. Orio, DILG Provincial Director Romeo A. Solis, PENRO Agusan del Norte Forester Elvie Deberto, Ms. Rosemarie Mordeno sa NCIP Agusan del Norte, Mr. Jezzle Encabo sa OPAPP-PAMANA, Mr. Rofel C. Cabaltera - Provincial Planning and Development Officer, Mr. Alvin P. Aclan - Provincial Agriculturist, Ms. Erma R. Suyo - PDRRMO, City Officials, Barangay Council Members ug uban pang mga bisita. BUTUAN CITY, Sept. 9 (PIA) - Malampusong gilusad ang Medical and Dental Outreach Program sa Barangay Marcos ug Barangay Sto Rosario , Magallanes Agusan del Norte, kon diin gipangunahan kini sa Agusan del Norte Provincial Government pinaagi sa Provincial Social Welfare Population and Nutrition Services Office ug sa Provincial Health Office. Kini usa ka tinuig nga kalihukan sa Provincial Government ubos sa programang "Sagip Sa Kalusugan Sa Barangay" ni governor Maria Angelica Rosedell M. Amante-Matba, pinaagi sa paghatag ug libreng serbisyo medical sa katawhang Agusanon kon diin usa kini sa iyang mga priority programs atol sa iyang administrasyon. Subay niini mapasalamaton sila si Marcos Barangay Captain Hon. Briccio Evanoso Burias ug Santo Rosario Barangay Captain Allan Duria sa Provincial Government kon diin gatusan sa ilang mga katawhan sa barangay ang nakapahimulos sa libreng serbisyo sama sa medical check-up, ibot sa ngipon, x-ray ug libre nga mga tambal.